How sleepy are you during the day? 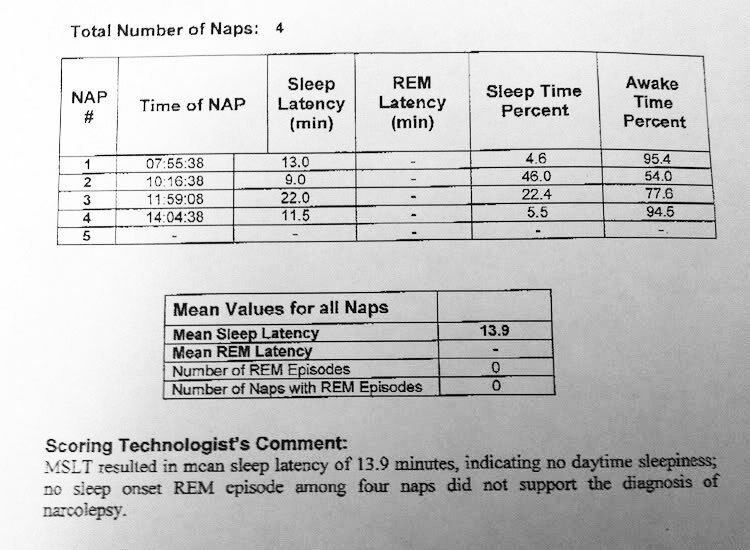 The multiple sleep latency test (MSLT) measures how long it takes you to fall asleep while lying down in a quiet room and identifies what stages of sleep occur during a brief nap. Most importantly, MSLT has the purpose to detect if you have sleep disorders, like narcolepsy, which may or may not appear with sleep apnea. 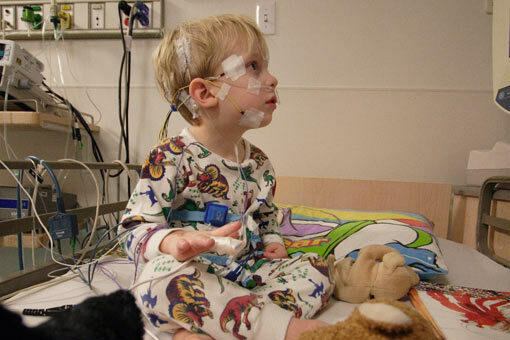 When Multiple Sleep Latency Test is Necessary? How sleepy are you throughout the day? There are people who are aware of their tendency to fall asleep during the day but they will quite deny it vehemently. I don't know if this happened to you and your spouse, but there are many couples which visit the sleep laboratory for a consultation and have contradictory discussions. While the woman complains that her husband embarrasses her by falling asleep on social occasions, the husband vigorously denies his wife's story, claiming that it is all in her mind. So, how can a doctor determine, objectively and accurately, if the person is sleepy and to what degree a person is sleepy during the day? Professor Mary Carskadon and a student of William Dement, developed this simple and effective test to evaluate daily sleepiness levels - the multiple sleep latency test. The brain wave recordings from the MSLT determine the moment of falling asleep, which tells how long it took the patient to fall asleep, or sleep latency. Are you qualified for Multiple Sleep Latency Test? In general, you don't need a MSLT if you already took the polysomnography test and you were diagnosed with a sleep disorder - like sleep apnea. However, what if your treatment for sleep apnea is not working? What if you're still very tired during the day and fall asleep whenever you get the chance? Considering you receive a proper CPAP therapy, without leaks and other CPAP problems, and you still fall asleep throughout the day, then your doctor may consider you have narcolepsy. The best test to detect whether you suffer from narcolepsy is the multiple sleep latency test. The PSG is basically used to rule out any other sleep disorders, such as sleep apnea or restless leg syndrome. Doing both tests (PSG and MSLT) helps the doctor come up with a more solid diagnosis. If the sleep specialist suspects Narcolepsy, the multiple sleep latency test will give definite results. How Do You Take the Multiple Sleep Latency Test? The MSLT is necessary in most of the cases, because it measures sleep latency, which is a measure of how long it takes a person to fall asleep during the daytime. And as you probably know, excessive sleepiness is one of the symptoms of sleep apnea and narcolepsy. To measure sleep latency, you will simply be asked to return to the sleep room several times during the day for 20 minute rest periods, while the polysomnograph records whether you fall asleep and exactly how long it takes to do so. Normal individuals either do not fall asleep during these short designated nap times, or take a long time to fall asleep, more that 20 minute during daytime. However, people who fall asleep in less than 5 minutes are likely to require treatment for a sleep disorder, as are those who quickly develop REM sleep during their naps. What happens during the daytime sleep test? The MSLT is conducted throughout the day, usually after a night in the sleep lab evaluating your sleep. That's why the MSLT is also called daytime sleep test. You will be attached to wires, almost the same like in the previous night test. You will be detached from the recorder between MSLT naps and will be free to watch TV, read, walk around, or even go to the cafeteria for lunch. Of course, you will still have all your electrodes attached and a clump of wires dangling around your neck. Some people are not bothered a bit by this, but others feel a little like a freak and prefer to have lunch delivered so they do not have to wander very far from the sleep center. Note: if you are staying in the sleep center for a MSLT, be sure to bring along something to entertain yourself, like a magazine, a deck of cards, or crossword puzzles. And if you object to wandering around in your bathrobe all day, you might bring some loose day-wear, such as a jogging suit, which can be comfortably worn over the wires. The multiple sleep latency test can help in diagnosing the causes of excessive sleeping, albeit not completely. If, for example, it is found that the patient who falls asleep quickly during the day goes directly into REM sleep, this may be evidence of narcolepsy, especially if the patient complains of attacks of muscular weakness. On the other hand, a patient who complains of excessive sleepiness but is unable to fall asleep in the daytime test is almost certainly suffering from chronic sleep deprivation, not necessarily from a sleep disorder, assuming that he or she slept for 8 hours on the night before the test. Once the PSG and multiple sleep latency test are completed, the sleep medicine specialist will review the results and work with you and your family to develop a treatment plan.